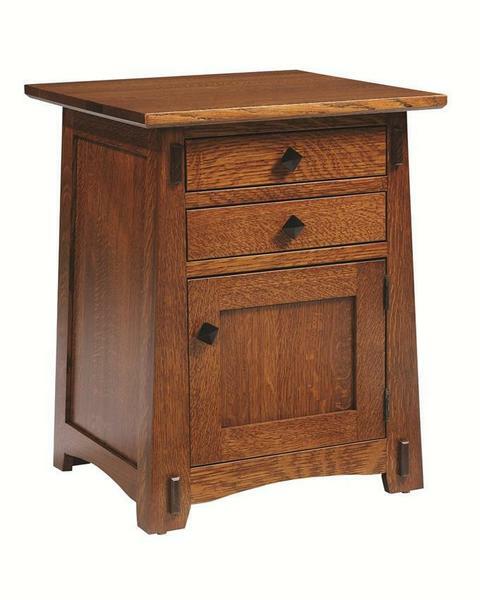 With two full extension drawers and one door, this Amish Old Shaker End Table adds a surprising amount of space to the end of your sofa or chair. Between the exposed tenons and the paneled sides, this end table has a transitional look that seems to fit in any room. Our furniture is handcrafted in the USA by professional Amish woodworkers, and can be customized with your choice of varnish.